It’s only 10 a.m. and you’re exhausted! Your little one is suddenly clingy today and you’re trying to fold laundry while he or she is climbing all over you. On top of that, you’re finding your afternoons – dare I say it – kind of boring. Unsure how to go from stay-at-home mom to freelance writer? There’s only so many bubbles you can blow, spots to hide for hide-n-seek, or art projects to come up with. You’re a stay-at-home mom and you want more. Or, you want to at least contribute to the family’s finances and feel like you are part of being an adult. I’m a mom to twins and I’ve been home with them since they came home from the hospital almost five years ago. After my maternity leave, I had to make a decision – try to find work and find daycare for my twins or stay home and contribute to the finances? Since daycare would’ve probably eaten up my paycheck, I chose the latter option and stayed home. But, how do I earn money from home? There are so many options for stay-at-home moms to make money that I was a bit overwhelmed. It wasn’t until I learned about other stay-at-home moms doing freelance writing that I finally found a way. I’m a creative person and I enjoy writing, so I felt this would be a great side gig for me. If you are at this place and unsure how to go from stay-at-home mom to freelance writer working from home, let me help. Let’s look at 5 ways to get started as a freelance writer. If you don’t already have one, set up a Pay Pal account. This is the best way to get money from your clients online! Most, if not all, of your freelance writing clients, will use Pay Pal. It’s easy to set up an account, safe to use, and you can create professional-looking invoices. Pay Pal does charge a percentage with each transaction you do. But, if you want to do business online, I suggest getting a Pay Pal account for your clients. You don’t want to be that writer that is a challenge to work with. Make it easy for them to choose you over others. If you want to freelance write, you need to figure out a rate that you can live on or at least pay the bills. For my students in Write Your Way to Your First $1k, I suggest starting with $.10/word. I also suggest finding a low rate and a high rate since you don’t have to give the same rate to each prospect or each freelance writing job you apply to. I would also base my rate on either per word or per batch of words (per 500 words). This is how I set my rate and it makes it easier for clients to figure out their content budget this way. Remember, you want to remove any barriers to hire you. If you can make your rate look affordable by batching per words or per project rather than per hour, then rate that way. Also, know that you are in control of your rate. You may not think that in the beginning when you are pitching and being offered pennies per word. Just know they are NOT your clients. There are better clients out there. Prospects want to see your experience through your writing. 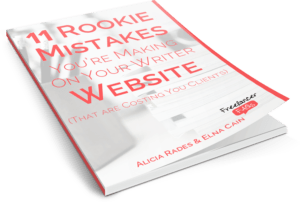 This is the time to shine and make your writing professional and error free. What should you write about? I suggest you write on topics within your paying niche (the niche you want to get paid to write in), but if you are unclear about your niche, then draft up some sample pieces on topics you are interested in. Yup. An array of topics, but ones that I enjoyed learning more about! While having any sample is best then no sample, having a niche sample will be much more successful to landing your first client. And my first client? An automotive blog! Go figure. When you draft your samples I suggest you upload them to Contently. It’s a free portfolio tool and is an easy way to showcase your work if you don’t have a blog yet (which I highly recommend in the future). Now is the time to pitch. You need to find freelance writing clients since they don’ t know you’re a freelance writer! But where do you pitch? Social media: search on Twitter, LinkedIn and Facebook for clients or jobs. Get to know solopreneurs that need help with their content. Freelance Job Boards: the easiest and fastest way to find a gig is via a job board. I find this job board and this one to be the best to find gigs. Directly: this is referred to as cold pitching. You can call up businesses or email them. Whatever works for you. You can use LinkedIn to connect with other businesses or you can search a database like Manta. During this whole process, you need to set up a plan with this journey. As a stay-at-home mom you don’t have much time to devote to this business. Only nap times and bedtime for sure. You can hire a babysitter to have more time but if I was able to grow my business while my twins napped, then I know you can! Your plan also needs to cover your marketing strategy. Besides knowing where to pitch, you want to know how often you’re going to pitch. I suggest setting up metrics around your pitches so that you have small goals and feel successful every day. So for example, tell yourself that every day you’ll pitch 5 times. This can give you the motivation when you’re tapped dry and have no energy to do anything except watch a TV or sleep! It’s a proven fact that the more you pitch, the greater chance you have at landing a gig. It’s all in the numbers. With these simple things in place, you’re ready to start finding freelance writing gigs. In the beginning, I would take any gig that comes your way as long as it doesn’t take you a long time to do, is at a reasonable rate and is in your paying niche. You can also see if the client is easy-going too. If they pay on time, has connections, well then a lower rate is fine by me. 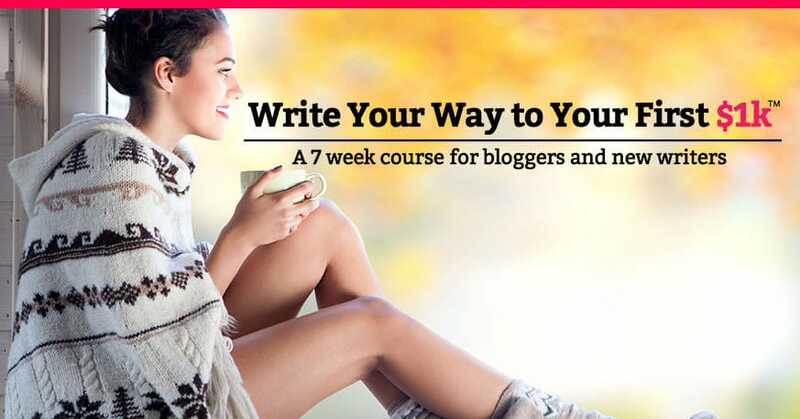 If you want to ensure your success with freelance writing, I encourage you to enroll in Write Your Way to Your First $1k! Hi Elna. You make starting out in freelance writing so simple! Thank you :-). I appreciate your recommendation of Contently as well. That is one that I am going to sign up for and take advantage of. So glad I found your website and eCourse as well. Thanks a bunch! *hugs* I’m so happy you found this easy for your start freelance writing. Enjoy Contently! Love it so much! You’re welcome, Elna 🙂 *hugs* back! Thanks Elna, I’m absorbing everything you are sharing at the moment as I am indeed that stay-at-Home mum who wants more. I have no background in writing officially but starting to realise all the pieces of work I have produced as part of other jobs such as mail shots, FAQs, working guidelines. But as far as samples go – do you go with your best idea as a sample or do you save that great article idea for a paid job? Thanks so much for coming over and commenting! That’s okay if you don’t have any background, you can still get paid to write! As for samples, that all depends on your niche and service. For example, let’s say you want to target health companies and do their email marketing. Then your samples can be a newsletter. Or, you can also show a blog post and offer that service. Good luck! I’m fed up of not earning my own money however hubby is not complaining me being staying at home mum. That’s great to hear! Yes, stay at home moms can start freelance writing for sure! There is no need to use nursery or daycare! It’s possible! 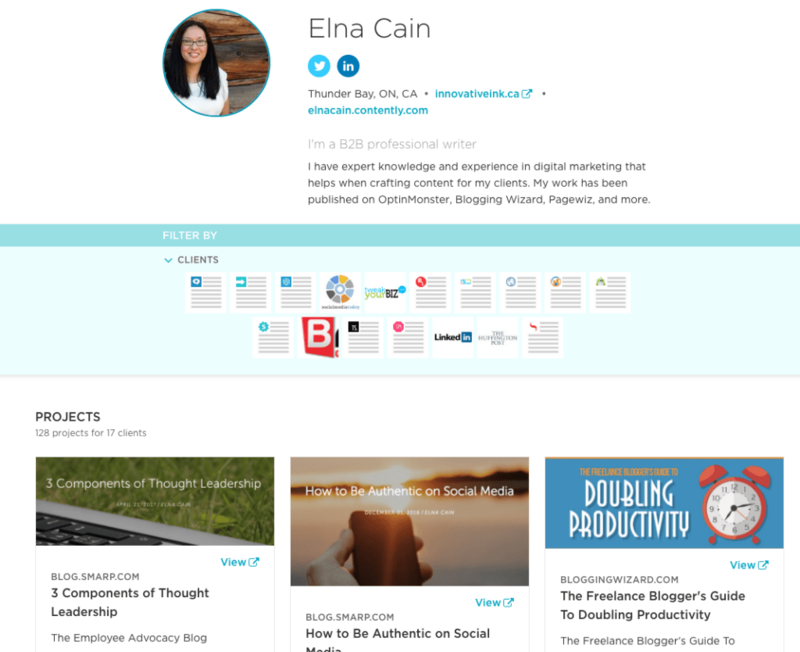 If you need more help, make sure to check out my blog, ElnaCain.com!